Como sabeis, entre las mejoras para G3 que prometen convertirlo en el juego que siempre debio ser, además del inestimable parche de la comunidad que lo convierte en algo ya jugable, sin la plaga de bugs que tenía de partida , esta el Quest Pack, de Humanforce, que salió en alemán y se encuentra en proceso de traducción al inglés y del que tenemos hilo en la sección de muy importante de este foro (y del que por cierto hay buenas noticias también, aunque para no doble-postear simplemente que el traductor decía hace nada que pudo recuperar los archivos traducidos que perdió tras estropearse su ordenador y pinta que tendremos la tradu ya en poco tiempo y de ahí al español, jeje); y también, aún más relevante que el Quest Pack (aunque según parece felizmente serán compatibles), el Community Story Project. El CSP, por abreviar, como muchos de vosotros sabeis pretende mejorar Gothic 3 devolviendole el interés a la trama, reforzando la historia, devolviendo el espiritu de la saga Gothic al juego, esto es, se propone una mejora profunda del juego a todos los niveles, y no sólo añadir un monton de quests, como el Quest Pack y además en este caso saldrá en alemán e inglés, jeje, con lo que la traducción al español no tendrá que hacerse esperar. Con textos en alemán, pero en un post que os voy a pegar ahora, de World of Gothic, complementario al video, en inglés, se explica como estan progresando, cuales son las mejoras que se plantean o que han ido desarrollando e incluso la traducción al inglés de los textos que podeis ver en el video. Todo se ha hecho con motivo de digamos hacer coincidir con la Pascua este "boletin" informativo especial, pero lo mejor de todo es que lo que se indica aquí es que al ritmo que van, a finales de 2010, quizá coincidiendo con Arcania, no lo sé, es bastante probable que saquen el CSP para para disfrute de todos. The eastern special already was announced a long time ago and we will disclose a few secrets about the Community Story Project now. We want to give you a first detailed overview in all parts of the game, we are working on. A new video, which shows these parts, is available in our YouTube Channel. It is the second teaser of the community story project and it shows the recent status of our project. So the scenes of the video don’t show a final state. At the moment we make great progress in almost all parts. The tests of chapter 1 are running now for some time und the tests of the next chapter will start within the next days. The works on Chapter 3 and 4 make advancement and our new storywriters startet their projects successfully. At the same time we want to do something for the public relations with this Easter special and created a press kit, representing the backgrounds and our project plans in detail. This presskit is send to all known game magazines and will be soon available for everyone. It is obviously that the game has not only one section, which needed to be revised. Six areas have emerged during the planning phase, which we want to improve. The atmosphere of Gothic 3 is strongly behind those of its predecessor, which is attributable to a variety of factors. To get the content back on an equal level like the predecessors, we need to improve all of these factors. The Gothic 3 main story can be summarized in a few words and is told in the game with nor words. Important figures speak only a few sentences with the hero and send him on a mission without explaining the background. The connections between the strands are only curtly explained and there are neither longer quest series nor background information. Based on a highly upgraded main story we will use, as in the previous parts, chapters to separate important events of the game. Overall, the player is more directed through the game without being shortened in his freedom, which was one of the major changes of Gothic 3. Another principal object is to put the story more towards the add on “Forsaken Gods” and the next part of the Gothic series “Arcarnia”. Gothic 3 has a different faction system compared to the previous parts. The player don't needs to join any interest group and actions of the player against another faction don’t create a reaction. There are no large phrases in the course of play. The new faction system will address these issues. 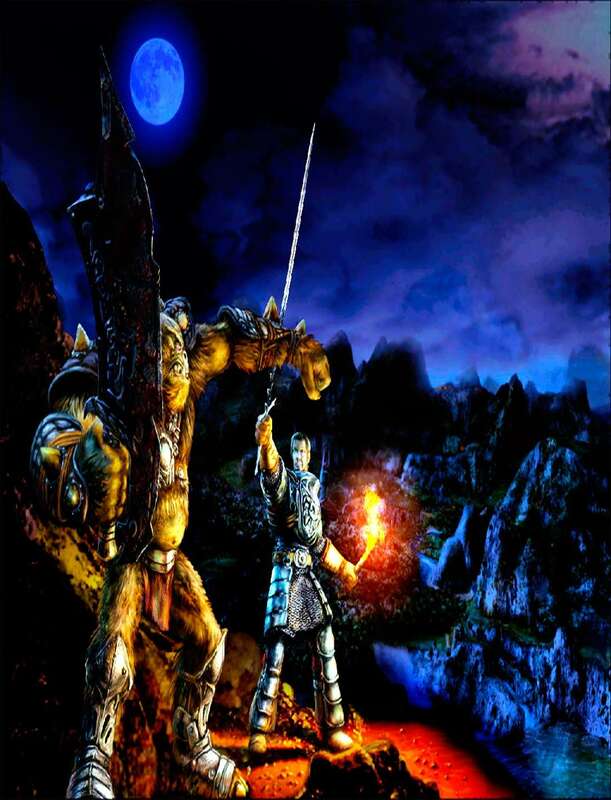 In the course of the game, the player has to join one of the three main groups (rebels, orcs or assassins) and has to select his affinity (magician or warrior). At the same time, there will be more faction-dependent or faction-related quests again. It will be possible to fight with the nordmar orcs against the clans. This was not possible in the game. Also we want to integrate the 3 minor fractions (druids, nordmarer and nomads) into the main story. In the previous Gothic parts the player could get information in many places about various aspects of the story, monsters and NPCs, or the history of the world. In Gothic 3 this area was greatly neglected and so the world seemed devilish lifeless. Many elements of the game seem to be not finished or have been implemented only half-heartedly. Many questions from previous parts remain unanswered. The history of many places or objects is missing. All these points we want to tackle and improve. In the game the player will meet old friends, will read more about the game world and will play many unfinished story parts of the previous parts. The balancing has been improved by the different community patches, which had their peak with the introduction of the Alternative Balancing in version 1.7. However, the patch improved the balancing in terms to leave as much of the game as it was. The community story project will go a step further. We will improve the balancing and will try to come up to the qualities of Gothic 1 and Gothic 2. Also we will improve some parts, which are not logical or useless. These include a new weapon, chest-, skill-, and magic System. Gothic 3 had a very good graphic as it was released. However, the world was too colorful and doesn’t show the gloomy atmosphere and mood in the world, which is created by a war. Various smaller and larger fan projects have already worked before the Community Story Project was founded. Based on two of these projects we are working on a dark version of textures. The atmosphere of war will be created by generally darker textures. Also we will revise NPC-, monster textures and effects. To also use newer computer hardware and to give the player an optimal feeling, textures with a higher resolution will replace the most textures. New textured armor and weapons complete this field. Players who do not like the new textures, will have the opportunity to exclude them form the installstion progress. 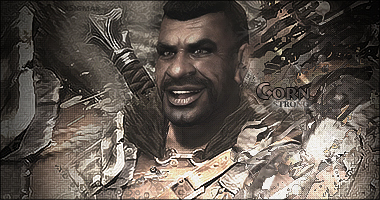 The music of Gothic 3 was the part of the game that is most been praised by many fans. The soundtrack is epic and there are many songs that fit too many areas of the game (such as for example attack or explore situations, music for various periods of a day and different cities and vegetation sections of the game). However, these songs are distributed irregularly in these different areas so that the music is either very varied but also monotonous or repetitive. You can find the same the same situation by the ambient sounds. With improved sounds and maybe entirely new songs the community story project will improve this imbalance. - your friends will be with you. - Are you prepared to decide the War of the Gods? En fin, suena impresionante y el video, aunque aun no es una versión definitiva, ya deja ver muchas cosas bien interesantes!!! Quizá esto podría ir en temas importantes, no? Sin duda es una gran noticia. Esto puede suponer que el Gothic 3 adquiera la categoría que siempre mereció y nunca pudo tener. A ver que tal sale el asunto. Realmente tiene una pinta brutal, sii!!! 1) la historia principal, donde personajes principales nos envian a realizar aventuras con apenas unas palabras, sin más explicaciones, se tratará de ahondar en el trasfondo, de dotar de más interes a las intervenciones de los personajes, sus diálogos, las conexiones entre los diferentes puntos, vaya hacer más densa e interesante la historia y no meramente un ir y venir haciendo aventuras sin trasfondo apenas, además de re-introducir la división en capitulos, ligados a acontecimientos importantes y hacer que la historia apunte más a los juegos posteriores de la saga, FG y Arcania. 2) Las facciones tendrán verdadero peso y las quest iran en muchos casos ligados a ellas, con reacciones a las acciones del personaje jugador y necesidad de ligarse a alguno de los grupos principales, asi como decidir su afinidad, entre mago y guerrero. Además se intentara enlazar mejor a las facciones menores con la historia. 3) Nada de un mundo inerte o semi-vacio, mucha información, referencias, del relato, de los monstruos o personajes no jugadores, así como del mundo de Gothic van a incluirse ahora, completando muchas partes e historias de lugares u objetos que parecen medio hechas o dejadas sin acabar. El mundo ahora será un mundo con un trasfondo vivo y con la posibildiad de encontrarse antiguos compañeros o terminar historias que quedaron pendientes y abiertas en anteriores partes de la saga. 5) Graficos, sí, son magnificos los que hay, pero podrian ser menos coloridos y más cercanos al aspecto sombrio de los anteriores Gothic, asi que opcionalmente se ofrecera la posibilidad (esto podras instalarlo o no, como quieras), de cambiar todas las texturas por otras más oscuras y acordes a la atmosfera de la saga Gothic. 6) La música de G3 es magnifica, pero tanto las canciones como sonido ambiente como estan distribuidas de manera irregular a veces son repetitivas y monotonas, ahora se distribuira y reordenara más logicamente y se incluiran nuevos temas y sonidos!!! Y bueno, eso es más o menos las principales innovaciones, en una traducción rapidisima y muy por encima, pero que puede ser util para aquellos no muy amigos del ingles, jjee!!! 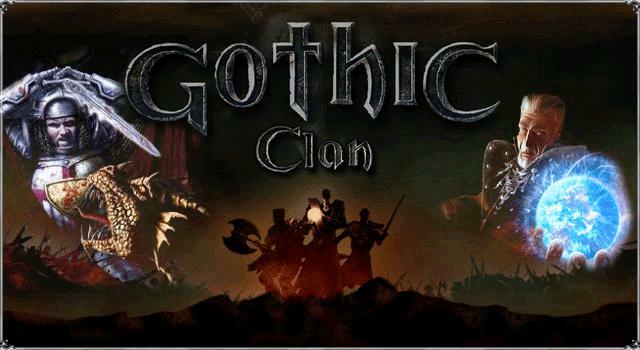 Una gran noticia, el juego merece tener esa escencia gothic!!! Jeje, creo que valdrá mucho la pena, la verdad . Ganas tengo de que salga, pero paciencia, cuanto mejor lo hagan más contentos todos !!! Madre mia que buena noticia si señor!!! Lo mejor para que se pase rapido es no pensar mucho en el parche, asi se pasan rapido las cosas, hacedme caso esta probado por cientificos (vamos yo xD) y creo que este parche va a ser el que todos emos esperado tanto tiempo, el que leyas en foros que sacarian uno por el estilo y decias... "cuando lo sacen ya abra pasado 100 años" pues esa espera termina aqui señores, yo creo que este sera el definitivo parche, y tal como lo dicen en los foros que he leido, lo admiten, va a ser un gran parche, esperemos que sea asi y cruzemos los dedos para que salga bien. Un saludo a todos, y que así sea este parche!!!!!!!!! Es que entre el quest pack y el Story proyect va a ser un juegazo, y como dije antes casi interminable!!! Y hay que añadir que no existe ninguna herramienta para modders como en oblivion y que son ellos los que han parcheado el juego. La verdad es que sería una maravilla, esperemos que la cosa llegue a buen puerto !!! Incluye tambien alguna armadura nueva, os pongo la de chaman. Magnifica imagen y buenisimas noticias sobre lo que piensan implementar (me encanta lo del buceo y el montar a caballo también, genial que lo consideren). Como tengo en la cabeza las monturas de dragon de un mod o dos de Oblivion la idea me parece fantastica!!!!! Pues a mi no me parece tan buena idea ya que no se puede explorar de igual manera, a la velocidad que vas se te pueden escapar muchas cosas como son las plantas, o eso o estar bajandote y subiendote del caballo. Ojala que salga a flote este proyecto porque seria la culminacion de lo que debio ser el Gothic 3, los vicios luego van a ser pocos xD . Pedazo comunidad de modders que tiene el Gothic ehh. Traigo nuevas noticias sobre el proyecto. Por supuesto va a ser solo compatible con el 1.74CP y con el QP. Ademas ya han terminado el capitulo 2 del juego (no se cuantos tendra al final) y han publicado imagenes de nuevas armas.